At the June HANC general membership meeting a presentation was made by two panelists from San Franciscans for Healthcare, Housing Jobs and Justice (SFHHJJ) , a coalition of some 60 community, neighborhood and labor organizations seeking amendments to the draft Development Agreement for the proposed Sutter/CPMC 550 bed hospital at Cathedral Hill at Geary and Van Ness. Little did HANC members know that within two weeks of the presentation dramatic chinches would occur in the project calling its final approval into question. Bob Prentice, former Assistant Director of the Department of Public Health and Paul Kumar, former Political Director of SEIU, Local 250 presented SFHHJJ proposals for improving access to health care at the new facility, improving Sutter’s poor record of providing “charity care” for the medical indigent and assuring the continued operation as a full service hospital of St. Luke’s hospital, acquired by Sutter in 2004. Both speakers made the case that this huge expansion of Sutter in San Francisco would give it “market control” of heath care which demands that the City, as a condition of approval of the project, make sure that it not result in lower health care services and higher health care cost. Two major concerns were discussed: the impact on City health care costs for its workers and “Healthy San Francisco” given Sutter’s market dominance and the requirement that Sutter maintain St. Luke’s for a minimum of twenty years as a full service hospital in the medically underserved southeast portion of the City. The fact that the first issue has yet to be resolved has meant that none of the Boards conservative members have stepped forward to endorse the project. But it was the St. Luke’s issue that now threatens the approval of the project. At a hearing before a Board Committee on June 25th, a representative of the Mayor reported that the “deal” reached with Sutter regarding an “escape clause” which if met would allow Sutter to get out of operating St. Luke’s and originally thought to be based upon a remote set of conditions in fact, was not at all that remote and, indeed, was close to being met even before the project was approved allowing Sutter to end its operation of St. Luke’s within as few as five years, far short of the twenty year requirement in the draft agreement. The announcement was greeted by stunned anger by the Board of Supervisors for having this significant fact held from them nearly two weeks. Not one Supervisor had co-sponsored the Mayors draft deal and with this announcement some Supervisors have called for the entire project to be sent back to “the drawing boards” and fundamentally re-negotiation. 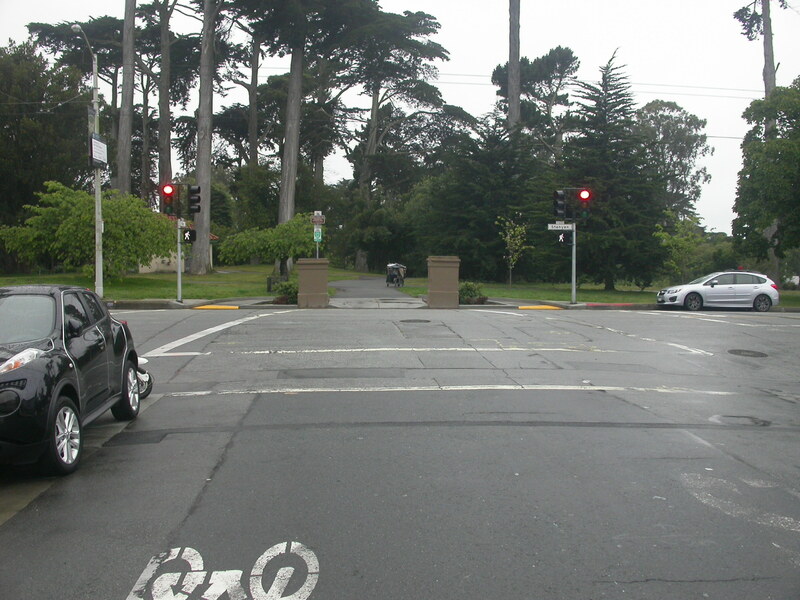 The Stanyan and Page intersection traffic lights were turned on in May, 2012, only six years after HANC and nearby residents petitioned the City to install them. 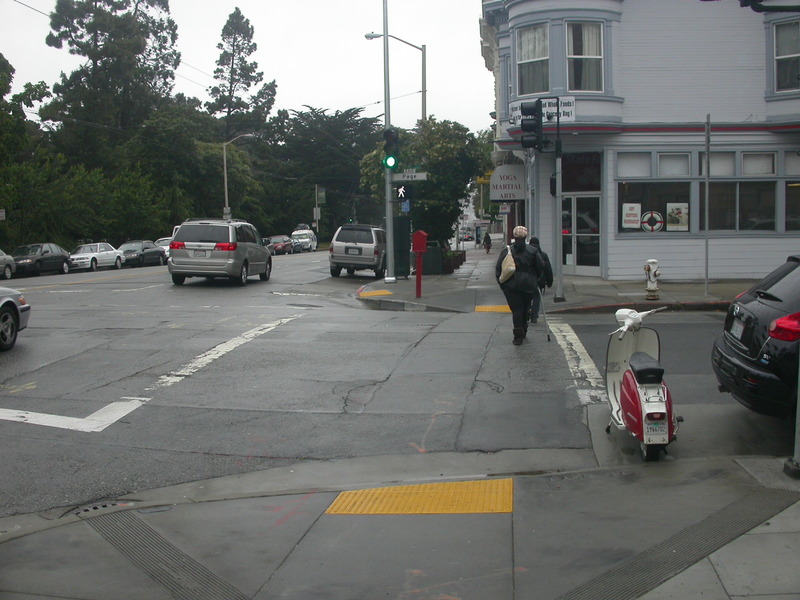 Heavily used by pedestrians both ways , the intersection was a “speedway” between the Haight Street traffic lights and the Fell street lights, creating real life dangers for all. Making material improvements to our neighborhood takes time and persistence, which is why neighborhood organizations like HANC are critically important. Individual residents may know the problems but it takes a neighborhood organization to change them. May's HANC general membership meeting featured representatives from both sides of Proposition A (on the ballot in June, calling for competitive bidding of San Francisco's garbage and recycling contracts) presenting their cases and taking questions from the community. In attendance were Tony Kelly and Paul Zusky defending each side of Prop A. Some of the points brought up by the attendees were as follows: Is Recology against competitive bidding? Who controls the trash rates in our city? What is going to happen with the Yuba City Landfill? Is it better to change the system through Prop A or leave things well enough alone? The community comments, questions and elaborations allowed for a discussion, not just a political pitch. The best part of this night was the fact that a real conversation on the state of our trash and our goals was had and many varying points of view were welcomed and addressed by Tony Kelly and Paul Zusky. It was a clear indication that no matter where you fall on Prop A, we have much to sort through on the subject of trash in San Francisco. This complicated part of our existence is in a major state of change and to better our future, we all need to get involved. Check out video footage on this subject at the Kezar Gardens Blog. Water is vital to garden health. But, when is enough, enough? Join us to learn earth-friendly ways to water the garden and the most efficient practices for the Bay Area’s Mediterranean climate. What kind of plants are you watering? Human and childhood exposure to lead is a well-documented and preventable environmental health problem. In the context of urban gardens, exposure to lead is most likely to come from contaminated soil. In this accessible and practical 2-hour class you will learn how to reduce the health risks for you and your family from exposure to lead through from urban gardening. Our Recycling Center has been transformed into a Community Garden, Native Plant Nursery, and yes, the Recycling Center is still open! Stop by at 780 Frederick Street (near Arguello), and see how we have changed. Recycling Center hours are 9 am to 4 pm Monday through Saturday for material drop-off; 10 am to 3 pm Monday through Saturday for cash redemption of CRV, and noon to 4 pm Sunday, with no cash redemption on Sunday. Our Community Garden is up and running! 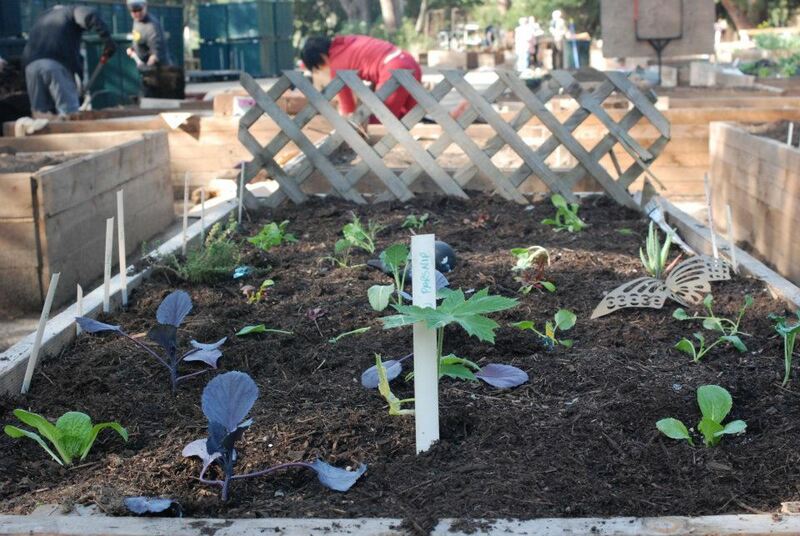 Plots were assigned by lottery on January 15, and our gardners have been growing their gardens. Stop by and see how they grow . . . Yes, we still have native plants. Stop by and take home a plant from our complete selecion of San Francisco native plants. The Planning Commission passed on to the Board of Supervisors the largest hospital development proposal in recent City history. The project would expand and centralize the Sutter/CPMC health center by building a new 555 bed hospital at Geary and Van Ness, building a new 80 bed facility at St. Lukes at Mission and Cesar Chavez, expand the Ralph K. Davies hospital at Duboce and Noe and close down the old Children’s Hospital in Laurel Heights. The biggest problems and impacts would occur at the Geary and Van Ness site where Sutter proposes a new hospital and two new office towers. A coalition of over 60 community, neighborhood, labor and environmental organizations- San Franciscans for Healthcare, Housing, Jobs and Justice (SFHHJJ)- urged the Planning Commission to reject the Development Agreement (DA) for the deal negotiated by the Mayor as failing to meet minimal concerns around the financial impacts of the project. Two of the six voting Planning Commissioners agreed and voted no on the DA. The DA as well as the EIR on the project will now go to the Board of Supervisors where a majority vote is required to pass both. It seems clear that the EIR will be litigated as it used outdated data in assessing traffic impacts at the key Geary and Van Ness intersection and failed to address the impacts of allowing a hospital (with no housing) to be built in an area specially zoned for “transit oriented development” of joint residential/commercial uses. The community coalition raised key questions about the housing, traffic, healthcare and employment impacts of the project. Basically the argument claimed that Sutter/CPMC. the most profitable health provider in the City was shifting substantial costs to San Francisco residents and taxpayers. In housing, although the EIR showed that a demand would be created for some 1,500 new two bedroom homes, Sutter/CPMC agreed to only provide funds to build about 90 such homes. Such a massive shortfall will boost housing prices all other San Franciscans will pay. The healthcare implications of the deal are profound. The expansion will give Sutter/CPMC “market dominance” in health insurance, allowing them to set prices. The City sought a “cap” on how much Sutter/CPMC would shift costs to other users of the same insurance companies, such as the City. No such agreement was reached and the deep concern is that there will be a major spike in costs passed on to the City. Moreover, CPMC currently provides the least amount of free care for medically indigent San Franciscans. The DA will actually allow them to pay less than they do now, shifting that cost to San Francisco taxpayers.